The gallery’s biennial, “Underlying System Is Not Known,” is both a retrospective and an exciting glimpse of the venue’s future. 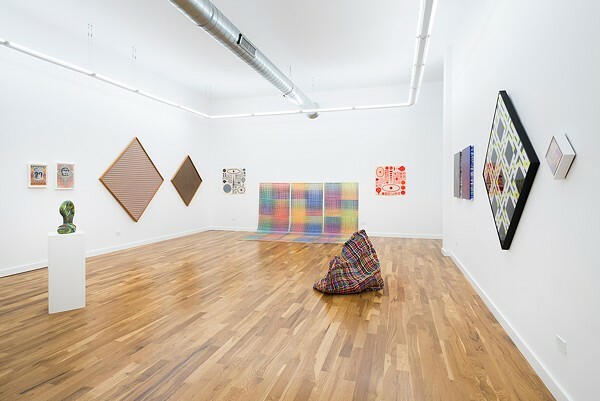 "Underlying System Is Not Known"
Four West Loop galleries that all shared the same building on Washington Avenue—Document, PLHK, Volume, and Western Exhibitions—recently moved into a new venue in West Town, a large second-floor space on Chicago Avenue just west of Ashland. But the migration wasn't acrimonious. "Our lease was up at the old space, and our landlords bought a building over on Chicago Avenue," Western Exhibitions gallery owner Scott Speh says. "They said, 'Why don't we move you guys over here?' "
And the new digs aren't a downgrade; in fact, Speh feels that the new venue is a much-needed improvement. "We were able to design it the way we wanted it, so it's completely custom created," he says. "Every space I've been in—and this is my fifth space—it's all moving into a preexisting space. From past experiences, I realized what I kind of wanted: a main room, a larger office space, a project room that was a little more manageable, and larger storage." All four galleries are inaugurating their new location with exhibits: Document is hosting textiles by Laura Letinsky and Paul Morabito; PLHK is putting on a video installation called "The Hardest Part Is Just Gettin' Here," a solo show by Annie Bielski; and in "Wunderkammer," Volume is displaying a wide range of pieces—including furniture, design, and ceramics—by various artists. But Western Exhibitions is putting on the most ambitious and expansive show: its biennial, titled "Underlying System Is Not Known." "The subtitle of the show is 'Current Trends and Pattern and Repetition,' " Speh says, "so it's all artists who are using those tropes in one way or another. That's often used in abstract painting, but I wanted to take some of those ideas and expand them . 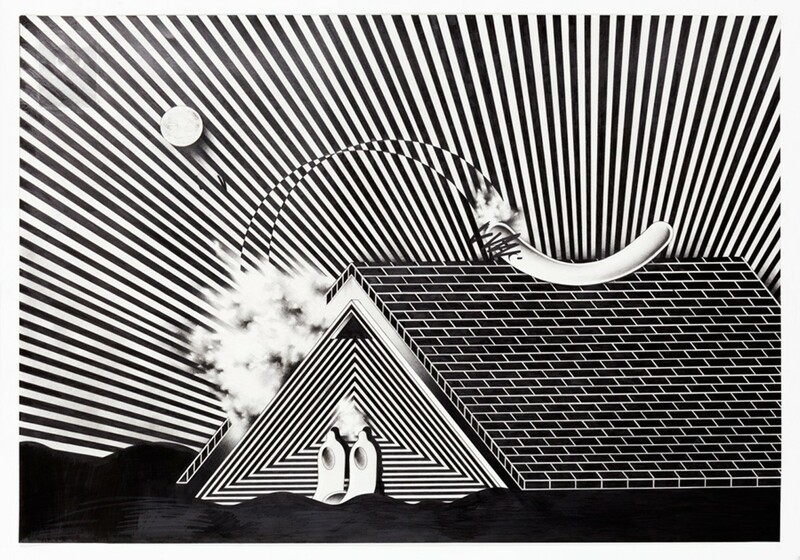 . . artists who are using figures or using architecture or using representational imagery, or even sculpture—how does pattern and repetition factor into those issues?" As sophisticated as that description may sound, "Underlying System Is Not Known" isn't too cerebral or unapproachable—it's playful and irreverent. On the floor, a few feet from the entrance, is Risa Hricovsky's Shift, a blobby quasi-chair made of neon pipe cleaners. Behind it is Joell Baxter's Waver, three strips, each one nine feet by four and a half feet, of multicolored, rectangular, screen-printed paper positioned at 90-degree angles against the wall and floor. Some of the works are deceptive, such as a series of colorful patterns by Emily Barletta. At first they seem like they were printed onto pieces of paper, but on closer inspection they turn out to be intricately woven pieces of thread. Western Exhibitions puts on a compressed retrospective of the Paraguayan-American artist. Two shows, "Suitable Video" and "The Power of Selection," run at the West Loop gallery.